This particular book focuses on the toddler to tween years and is probably one of the only publications of its kind. While there are a few books about being pregnant with multiples and dealing with the first year or two, there are few resources that address what happens once the children enter preschool and beyond, and the issues specific to that. Identity. Individualization. School. Friendship issues. What happens when there is an event — big or small — that affects only one multiple directly (such as illness). Milestones. Craziness. Joy. It’s a book I’m proud to have a piece in (one that hopefully brings smiles and nods of silly recognition), and it’s a book that is already resonating with readers and reviewers.Check out what some readers have to say. 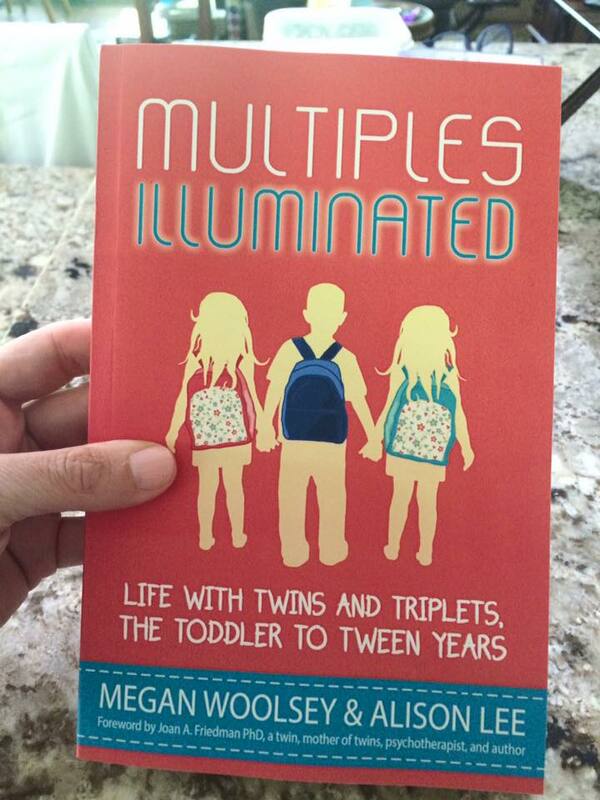 Click here to learn more about and/or purchase Multiples Illuminated: Life with Twins and Triplets, the Toddler to Tween Years. The original Multiples Illuminated, which shares stories about pregnancy, delivery, and the first year with multiples, is also available. They make a great gift separately or twinned up! We love your contribution to both books! Thank you for sharing this with your people.